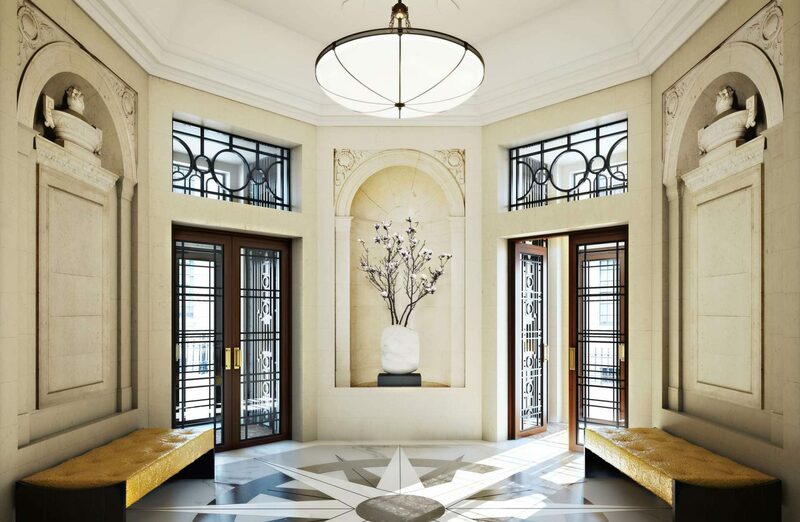 We manufactured and restored beautiful lighting for the private club, the residences and the hotel at Four Seasons London Ten Trinity Square. This meticulously refurbished building comprises a distinctive collection of spaces harmoniously arranged to provide the very best of places to live, to stay and to meet. Ten Trinity Square is Grade II* listed and next to the Tower of London World Heritage Site. Tremendous care has been taken to preserve the detail and integrity of the original building. The Residences consist of 41 spacious and classically elegant apartments designed with supremely specified materials and finishes. While the hotel has 100 rooms, restaurants, bars and spa. It also provides all the luxury resources for impeccable services to each residence. The Club was created from the sumptuous boardrooms and executive offices of the original building, carefully retaining and restoring all the finest features of their carved walnut panelling and high ceilings.